On the start of her career, she performed at an event called the Lollapalooza Festival during 2007 whereby a record label company Interscope found her due to her performance being “amusing” to watch. Since Interscope found her, she was a mastermind behind her songs with a team of producers namely Rob Fusari and RedOne. Most of her songs were deep unreleased cuts, due to her having more than 30 songs and 17 were picked. In 2008, she released her first single called Just Dance, a worldwide hit that sold around 10 million, making her having one of the first diamond certified singles of the millenium. The song was perceived as “catchy” and “fun’ by the audience and radios worldwide as a “sleeper hit”. As the time went by, Gaga and the company tried to release “Starstruck” before success struck time, and 1 promo single was released for her to have the world have one more song before the next hit. Poker Face was released as the next single during late 2008/early 2009 for the radio to blow up. Like its predecessor Just Dance, it was also a sleeper hit until the time arrived giving her a record of being the first female solo artist to have her first two singles exceed more than 5 million copies sold worldwide and the first song in history to be inside the Australian chart for 100 weeks. The Fame was released as the parent album of the songs and blew up record markets worldwide with its never ending success, still charting inside the Billboard 200 as of today. LoveGame was released as the 3rd single of The Fame worldwide, with it being well received at parts of the world, it was met with not so warm welcome to the charts at some parts too with it being only inside the Top 20, if not for its beat. It also coined the term “discostick” which Gaga used as a signature prop, being used til present. Paparazzi was released as the last single giving tons of people a great experience during the album cycle. Gaga filled up club floors with this song and gave a controversy with this song, with dark undertones that also inspired the last award show performance during the album cycle for the song at The VMAs 2009. In 2009, Gaga released Bad Romance and premiered it during her first performance on Saturday Night Live, with a video that is known to be one of the best music videos in the history books. Gaga had the radio success and had it all during this and started the theatre version of The Monster Ball. Gaga had promoted this song and has been one of , if not her greatest hit. 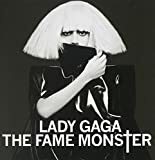 Time did not stop by until she released The Fame Monster, a completely different work from her former album, with subtle references to the pop club like sounds. It was a great success and still is.